Tension and stress is a common feature in a man’s life all over the globe. Competition is seeping into day-to-day life as if it is a loaf of bread that we eat daily. In such an age it is important that we continue to believe in ourselves come what may. Zodiac Power Rings are successfully doing that for you in an easy, convenient and affordable manner. Zodiac Power Rings are composed of Panchadhatu or five metals namely Gold, Iron, Zinc, Silver and Copper. They are formulated in a highly scientific and transparent manner. You can wear these rings based on your individual Zodiac Sign on any finger other than the tall middle finger. The first manufacturing unit of Zodiac Power Rings was started from Abdul Rehman Street in a 300 Sq. Ft. area. The factory was shifted to 1000 Sq. Ft. area in Bhuleshwar. The third factory has recently started in Vasai region of Mumbai in a sprawling 3000 Sq. Ft. area with state-of-the-art manufacturing facilities. The five metals namely Gold, Silver, Iron, Zinc and Copper are purchased from the market. They are then purified till they reach the 100% purity level. The entire manufacturing process is scientific. Say, for e.g. if you are a Capricorn, then there’s a separate table involving the proportion of Gold, Silver, Zinc, Copper and Iron. The high tide is a must at the time of manufacturing. In the case of Aries, the proportion, timing is different. It is the case with the rest of the Astrological Signs. After this they are melted, mixed, fermented, re-melted and refermented assiduously over a period of 15 days. This methodology enriches the composition of the mixtures of these rings with amazing powers. This power is all yours once you wear these rings costing a mere Rs. 2500/- in India and US $99 abroad. The Ring has to be worn according to your Zodiac/ Sun-sign on your right hand on any fingers other than the tall middle finger. A successful person is never born that ways. He needs assistance from various quarters at every stage of his growth to sharpen the edges. But the hard work is entirely his/ her own. After all, it is a human mind that created a Computer out of sheer excellence and not the other way around. You can be aided in this Life Mission by the mystical Panchloha Rings. And they can help you fulfill all your dreams. Transparency and Accountability: Each customer is given a bill while purchasing Zodiac Power Rings. Zodiac Power Rings are a brainchild of the Jalui family. Dr. Ashit Jalui, Managing Director, Zodiac Power Rings had a firm faith in the findings of his great grandfather Dr. Aghat Jalui, an Astrologer in the British ruled India of the nineteenth century. He was infinitely inspired by the Panchadhatu shield, that was given by Shri Krishna to Arjun during the Mahabharat. This Panchadhatu shield proved to be a blessing in disguise for Arjun as it made him more assertive. He was also able to concentrate much better than before. Vanity Gold is a company, which was started by Dr. Ashit’s father Mr Haradhan Jalui, who used to deal in Diamond and Gold jewellery. 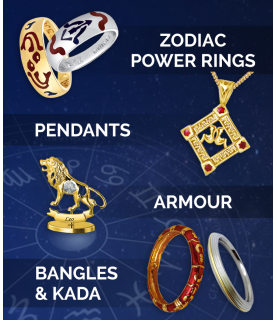 Dr. Ashit has taken it a step further with the super success of Zodiac Power Rings. The other products that are manufactured by Vanity Gold are as follows: Planetary Power Pendents Panchadhatu Pens Kauchu Bands Panchadhatu Bangles The predictions are that things are going to hot up further. We hope you experience the joy-n-satisfaction of Zodiac Power Rings soon. Your friends are already praising. And if you don’t get the desired results. Don’t think. Make your share of bulk orders. Now!! Call today on 91 – 22 – 6668 8246/47/48, 91 – 22 – 28846344 . We will be more than happy to answer you. We offer home-delivery services for people in Mumbai.